A lot of potentially far-reaching developments happening right now in China where Baidu, the dominant search engine, is secretly cranking up a mobile operating system of its own. It’s based on – of all things – Android and code-named Qiushi, which means fruits in autumn, explains TechNode quoting a local report by Chinese-language TechWeb. China is one of the rare territories where Google is not the leading search and online advertising player. iResearch pegged Baidu’s share of China’s search-based advertising revenue to a whopping 63 percent as of January 2010 versus Google’s 33 percent. 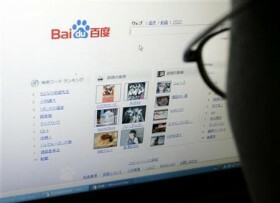 Baidu was valued at the time at $15 billion and enjoyed 300 million visitors. In December of 2007, they had become the first Chinese company to be included in the NASDAQ-100 index. Baidu is ranked sixth in Alexa’s global rankings and #1 in China, with an estimated 56.6 percent shareof the country’s 4.02 billion search queries as of June 2011. With such a strong dominance in search, Qiushi could represent a serious threat to Google’s Android interests in the 1.33 billion people market where an estimated 896 million mobile phones were in use as of this May. This is the home to China Mobile, the leading carrier anywhere on the planet with the wireless audience of 611 million subscribers. According to IDC, smartphone-hungry Chinese have recently begun picking up Android handsets in droves. Smartphones in China accounted for 17 percent of all of the handsets shipped globally in 2010 and Android devices represented one fifth of the figure, up from less than one percent a year ago. In other words, one in five smartphones that shipped in China in 2010 were Androids. The rise of Google came at the expense of Symbian which surrendered 10 percent of its last year’s 65 percent market share in China, following a global trend for Nokia’s dying platform. Many Android phones in China sell for less than $150 and vendors like Arima Communications are promising sub-$100 handsets this summer – without even taking into consideration really cheap Android knock-offs from white-label vendors. Then, there’s the iPhone which grew sales nearly 250 percent in Greater China last quarter. Plus, Apple is rumored to be cozying up to China Mobile for a landmark fifth-generation iPhone distribution agreement. With Android and iOS now the two most popular platforms globally, Apple – and Google in particular – could easily shake up Baidu’s search dominance as consumers increasingly run their searches on smartphones. And while Baidu was the first in China to offer WAP and PDA-based mobile search, they want to step up their game and own the mobile platform to maximize monetization of users on the go. Baidu’s search-based advertising revenue jumped by six percentage points to 70 percent in the second quarter of last year as the result of Google’s withdrawal from the market to Hong Kong, research firm Analysis International estimated in August 2010. Google may be licking its wounds, but it will eventually strike back and Baidu is gearing up for the showdown.